Stephen W. - 2009 Volvo S80 - 5 out of 5 Stars! 5-Star Review from Google: Stop!! Go see Dan before you pay the man! If you enjoy driving, this is THE dealer for you. The selection of quality cars at Thoroughbred is unrivaled. Each vehicle is hand selected by the owner Dan Derr, who makes those purchasing decisions with 30+ years of experience, dealing exclusively in luxury vehicles. Need I say more? Stop in and start a conversation with Dan and you will see why he is trusted and respected by so many customers. Seriously, what other dealership can you walk into and speak directly with the owner? The level of service and attention to detail is reminiscent of a business model that you haven't seen since the 1950's! Give them a chance to earn your business and you will thank yourself later. Here's a challenge, before you visit a "big box" dealer, visit thoroughbred motors, experience the atmosphere and inventory, then go compare! I bet you'll return within the hour. Thanks again Thoroughbred! Loving the Volvo!! Gayle - 2012 Lexus GX460 - 5 out of 5 Stars! by Gayle from OK from Norman, OK My salesman was easy to work with, very courteous, and answered all of our questions. Communication was excellent and disclosure was given. Overall, trading in our car for a newer model was a great experience at this dealership. The staff was very kind and helpful. 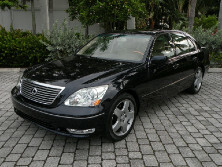 Jerry Cooper - 2005 Lexus LS 430 - 5 out of 5 Stars! by Jerry Cooper from Oklahoma City, OK I have purchased over 15 vehicles from Dan over the years and found him to be an absolute professional. I have described to Dan a particular type car I would be looking for and the accessories needed and he always came through, to the point that I have purchased vehicles from Dan, site un-seen, because he (Dan) would tell me that the car has what I had told him I wanted, leather, remote key, etc. and not once have I been disappointed. One Lexus had an issue that Dan nor I knew existed until after the purchase. Dan repaired it, out of his pocket, and I had of course signed the document "AS IS" when I made the purchase. 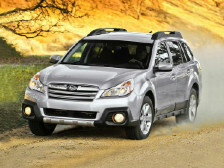 Kari - 2014 Subaru Outback - 5 out of 5 Stars! by Kari from Oklahoma City, OK Dealing with Thoroughbred Motors has been, by far, the best car buying experience in my life. Dan found the exact car for me at the fairest price. No dealership games here. The car was detailed and they even put brand new tires on! It was like a brand new car! No waiting all day long with lots of mind games either. It was a very honest and straightforward process. They have won me over as a loyal customer. Carol Lindsay - 2011 Toyota Camry - 5 out of 5 Stars! by Loving my new car Carol Lindsay from Oklahoma City, OK Dan and his entire staff makes buying a car fun, painless, and hassle free!!!! The staff is friendly, helpful, knowledgeable and professional!!! They treat everyone, especially women with respect and treat them like they have a brain!!!! When buying a car from Dan, there are no hidden surprises and you know you are getting a great car that won't break down on you a mile or two down the road. I wouldn't dream of buying a car from any one else ever again! Thank You Dan for a great car buying experience!!!!! 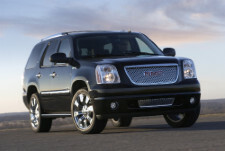 Greg S. - 2009 GMC Denali - 5 out of 5 Stars! 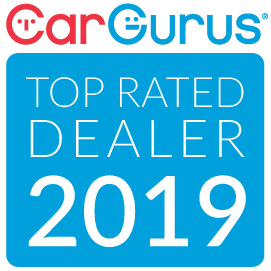 by Greg S. from Oklahoma City, OK An outstanding dealer who ALWAYS provides quality cars and their customer service is best in the metro area!!! 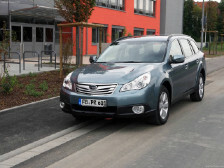 Sarah - 2010 Subaru Outback - 5 out of 5 Stars! by Sarah from Edmond, OK I was recently in the market for a newer car for my 16 year old daughter. Having worked with Dan in the past, I went directly to him to see what he had available and what he would suggest for a driver of her experience. Dan and all of the staff went above and beyond to locate a late model, quality and dependable vehicle for my daughter. It is honestly far more car than I thought we could get for our budget. Dan told me that he specifically chose this car for her because it was something he would put his own precious daughter in... We couldn't be more please with the vehicle, service and hospitality we received at Thoroughbred Motors. I would highly recommend them! I will never go anywhere else! Thank You!! 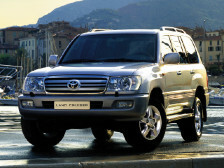 - 2007 Toyota Land Cruiser - 5 out of 5 Stars! by Thank You!! from Iowa I bought a newer vehicle from Dan at Thoroughbred recently. Dan was a complete professional, working with me in every way. I drove down from Iowa, to Oklahoma, because the vehicle was such a great deal. Had it inspected locally and Dan worked with me on the two minor issues the vehicle had ( that he was unaware of ), paying to make the car 100%. Dan picked me up from the car rental and gladly brought me to his dealership. Dan said he has been in this business for over 20 years and that is evident. The prices and quality of the vehicles Dan sells are superior to most. I'm very happy with my newer car ! Thanks Dan ! Carlover - 2012 BMW 328ci - 5 out of 5 Stars! by carlover from Edmond, OK I have purchased numerous vehicles from Thoroughbred Motors over past twenty years, from high performance sports cars to SUVs. All transactions have been straight-forward with vehicles found to be as represented--no surprises. Owner and staff highly knowledgeable. Highly satisfied, repeat customer who has enjoyed dealing with true professionals. Jeff M. - 2012 Toyota Sequoia - 5 out of 5 Stars! by Jeff M. from Oklahoma City, OK Who would have thought that buying a car could be such a fun experience. Pricing is always very fair. I will never purchase a car anywhere else. Stephen Saak - 2010 Lexus GS - 5 out of 5 Stars! by Stephen Saak from Oklahoma City, OK Not only do I respect this dealer, I also have the up-most respect for the owner. Thoroughbred always goes the extra mile. They never hesitate to give me information about any car I might be interested in. Even if its not in their inventory, they will offer consulting if its a good value. Over the years the owner has become a trusted friend. I would highly recommend this dealership. There are no sales games. No one has time for that kind of non-sense. Most people hate the car buying experience. I can truly say that will not the case at Thoroughbred Motors. Stephen Saak, CEO S&S Promotions Inc.
Razz - 2009 Toyota Highlander - 5 out of 5 Stars! by Razz from Oklahoma City, OK My family and I have bought all of our cars over the last 10+ years from Thoroughbred. They are always very helpful and honest about their cars. Every time we have gone to them looking for a car (including my 2009 Toyota Highlander, which I LOVE!) they have done their best to find the right car for us. Their salesmen are great because they aren't pushing and actually listen to you. I would definitely recommend Thoroughbred to anyone looking for a car. 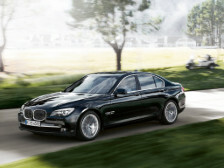 Jay - 2011 BMW 7 Series - 5 out of 5 Stars! by JAY from Oklahoma City, OK I have purchased cars from Thoroughbred Motors for over 30 years. They take exceptional care of me and my entire family. I would recommend Dan and his staff to everyone interested in buying a car. They are fair, reasonable and always ready to help in any way. 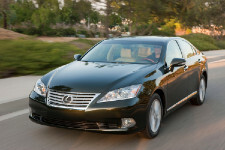 Sam Cathey - 2012 Lexus ES350 - 5 out of 5 Stars! 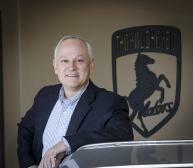 by Sam Cathey from Oklahoma City, OK I have bought over 20 vehicles from Thoroughbred Motors over the years and have never been disappointed or mislead. Dan and his staff are wonderful Christian men and will do you right. They have never misrepresented a single thing on any of the cars I have purchased. I couldn't be happier and hope you will choose to buy from them. I can assure you that you will immediately see that Thoroughbred Motors is an easy no-hassle dealer and you will never go anywhere else. 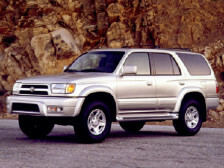 Holly - 2000 Toyota 4Runner - 5 out of 5 Stars! by Holly from Oklahoma City, OK Thoroughbred Motors is always helpful with any problem I have. Whether it be buying a new car or helping to repair a car I purchased years ago. They always have the solution to my problems! 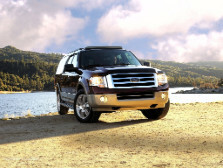 Gwen and Chet - 2010 Ford Expedition - 5 out of 5 Stars! 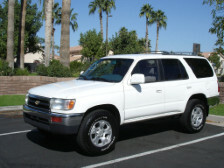 Elliot M - 1997 Toyota 4 Runner - 3 out of 5 Stars! by Elliot M from Oklahoma City, OK I bought a used car from them, and they were really nice and were helpful. The only downside was that I felt like I was pulling teeth trying to get what they promised me. I had to call several time for a new remote and I went there once to find out he could not do it. After I finally got one, the remote was for a different brand of car, but it works. They try to have the luxurious appeal, but don't ace it when it comes to taking care of the customer. They also failed to tell me that my car needs premium, but I guess I'm expecting too much from car salesmen. Kirk and Karen - 2000 Toyota Camry - 5 out of 5 Stars! 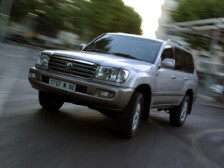 Bkhise - 2005 Toyota Land Cruiser - 5 out of 5 Stars! by Bkhise from Oklahoma City, OK These guys were great! Very personable and caring. Still available even after the sale! Reputable, integrity and great service describes Thoroughbred Motors! 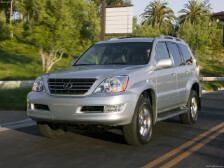 Michael Rinehart - 2009 Lexus GX470 - 5 out of 5 Stars! by Michael Rinehart from Oklahoma City, OK Bought a 2009 Lexus GX470. I truely consider the staff as my friends! Thanks for the help throughout the years.